In heads-up poker, you really have to get in there and mix it up. Waiting around for the nuts, like you can do in full-ring poker, will just mean your opponent will steal from you mercilessly until your stack dwindles down to nothing. You’ll have to learn how to adjust to your rival’s tactics quickly while being comfortable with pushing very thin edges. It’s also important to not get discouraged by short-term results because the variance in HU matches can be truly disheartening at times. With the aid of the below articles, you can firm up your heads-up poker strategy so that you can prevail against all types of opponents: fish, nits, LAGs and other winning regs. 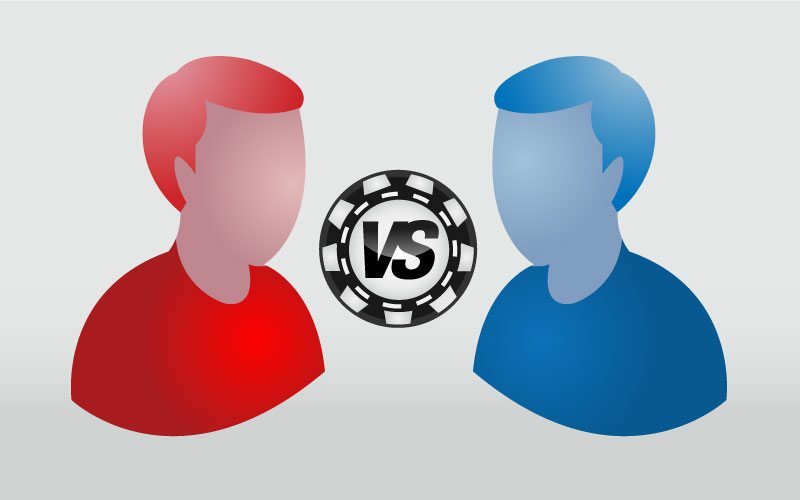 Whether you play cash games or HUSNGs, you’ll find the tips we inform you of to be a helpful stepping stone on your route to heads-up poker dominance. Heads-up SNGs can be extremely fun and profitable. Before playing, however, you need to make sure you’re adequately rolled for the stakes you’re going to play. Also, it’s probably helpful to brush up on your push/fold game because these types of tournaments often feature short-stacked play. When playing heads-up No Limit Hold’em poker, you need to modify the strategies that you would use at larger tables. Remember to focus on every hand and adjust to the specific player you’re up against, because every hand you play will be against him or her. Heads-up is, without a doubt, my favorite way to play. It’s a true test of your poker skills, and the best way to improve your game. 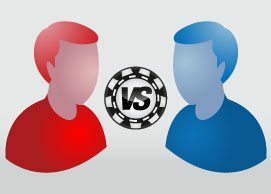 While it may be nearly impossible to find a one-on-one table in a brick and mortar card room, online clients such as Poker Stars and Full Tilt offer it as a regular staple. They’ve even gone so far as to incorporate heads-up tournament play. It’s something that any aspiring poker player should check out. Question About Heads Up? Ask The Steinbergs!